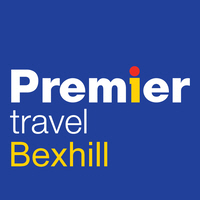 Premier Travel Bexhill, is one of 20 Premier Travel outlets based throughout Southern England and East Anglia. Our Branch, owned and run by Dinah and Stephen Simmons, has been looking after holiday makers and travellers for the past 53 years. Our three Travel Consultants , Karen, Beccy and Gemma have over 80 years of travel experience and knowledge between them, which means they can offer advice on most worldwide holiday destinations. You can read about some of the destinations they have been to on our “Travel Reports” Page. The team at Bexhill have been awarded Premier Travel, Southern Branch of the year and is our third time winning it in 6 years! The Bexhill team have been given this accolade in recognition their dedication and commitment to you, our customers. Being independent, we are able to offer the widest range of travel products, including tailor made holidays, cruises, air tickets, European short breaks and British holidays. At Premier we are always committed to adding value to the holidays we arrange for you. We constantly work with our travel partners to ensure we offer you the best value for money often providing added extras at no additional cost.